Used for basic level missile spells. The mind rune is used for the strike spells including Wind Strike, Water Strike, Earth Strike, and Fire Strike, as well as the Magic Dart spell. Mind runes are craftable at level 2 Runecrafting with either rune essence or pure essence. If you have no mind runes in your bank or inventory, and you have not dropped any right under you, you can obtain 30 new ones from the magic tutor in Lumbridge along with 30 air runes. Mind runes can be purchased from Betty in Port Sarim, the Void Knight Magic Store on Pest Control Island, and from Aubury just south of Varrock East Bank in Aubury's Rune Shop. The mind altar is located north of Falador, in between Goblin Village and Ice Mountain, very near to the Wilderness. Mind runes are craftable at level 2 using the Runecrafting skill. Crafting mind runes provides 5.5 Runecrafting experience per rune or pure essence used (154 xp for a full inventory). The Arceuus spellbook teleport to the mind altar can be used in conjunction with rings of dueling to achieve approximately 30k xp per hour crafting mind runes. There is a Falador Diary task in the hard section to craft 140 Mind runes at the same time. 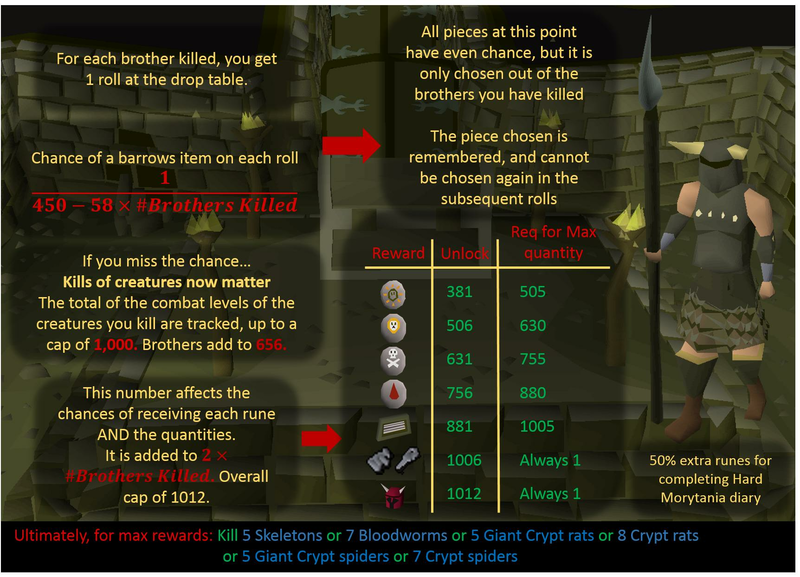 They can be found in the Barrows chest with at least 381 rewards potential. Mind runes in Barbarian Assault alch for 0 coins.